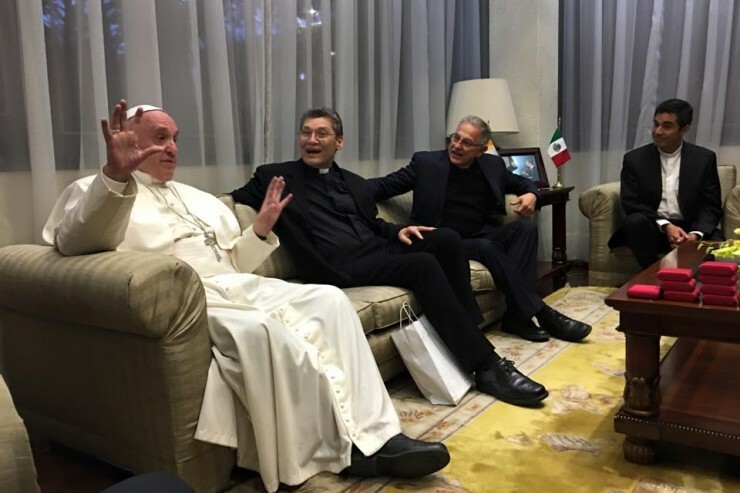 CyberTeologia | Pagina 2 di 34 | di Antonio Spadaro S.I., direttore de "La Civiltà Cattolica"
In these years of Francis’ pontificate, he has addressed the Jesuits many times, so that the Society gathered in the General Congregation had already, in some way, a «previous discourse» of Pope Francis that can serve the Jesuits as inspiration and guide them on their path. A «previous» discourse of a «big brother» as Laynez called Faber, but a big brother who is the Pope, to whom we, «with renewed impulse and fervor», offer our vow of obedience, taken into consideration since the beginning of the Society «as our first and principal foundation». What we have called the «previous discourse» is composed of different allocutions that Pope Francis has addressed to the Jesuits. They are placed in clear continuity with this discourse. They gratefully make memory of a past that is passionately present: the graces of the Lord that have identified us and continue to identify us with the Society. «We are called to recover our memory, to make memory, calling to mind the benefits received and the particular gifts» (Esercizi Spirituali [ES], n. 234). A Pope who is a Jesuit makes «memory», but he must be Pope first for us rather than Jesuit. If other Popes have reminded us of these graces, Francis does it knowing them from within our condition as Jesuits. With some frequency, he is recognized explicitly Jesuit: he explains, with simplicity, almost softly, but without twisting words, the great and strong characteristics of our spirituality and identity. 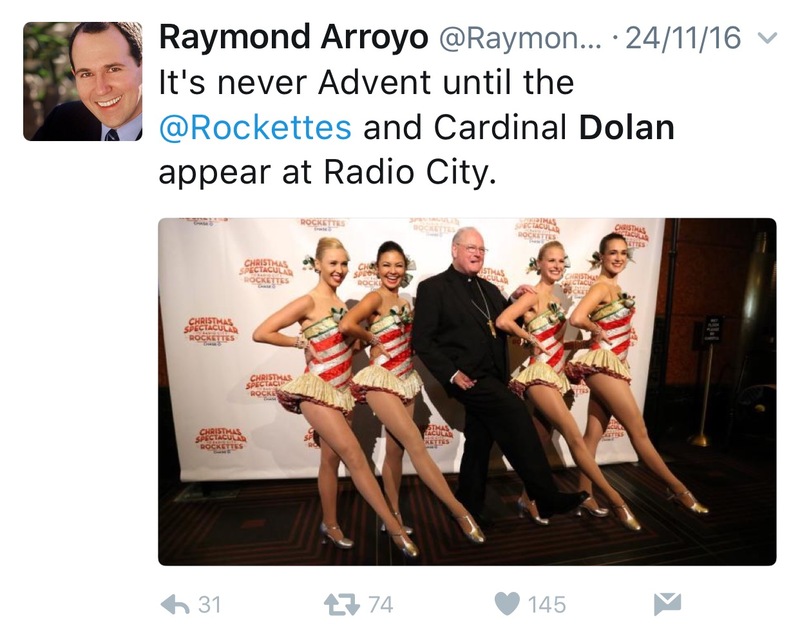 What has the Pope said to us? This is what we propose to demonstrate in this article, with the awareness, however, of the difficulties it entails. We will try to be as objective as possible in presenting the characteristic themes, even though we are all inclined to select those aspects that agree better with our theological, pastoral, social, and even religious and spiritual sensibilities, but we must make an effort to welcome all the reflections that the Pope offers us broadmindedly and with generosity of spirit, above all when they recommit us to our way of living and to our mission. 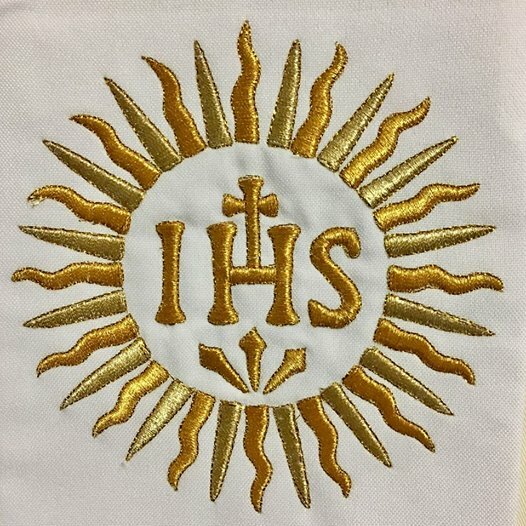 Our characteristic monogram, IHS, points us to—the Pope said on the feast of St Ignatius in 2013—a reality that we must never forget: the centrality of Christ for each one of us for the entire Society. Jesus is our center and sole reference. It follows that every Jesuit and the body of the Society must always be «decentralized», never becoming «self-referential»; this displacement leads us to have before our eyes «the God always greater» who continually draws us out of ourselves and pushes us to a certain kenosis, to «go out of his self-love, will and interest» (ES n. 189). To the serene proposal, but essential for our vocation, he added the suggestion of a question not taken for granted by all of us: is Christ the center of my life? Do I truly put Christ at the center of my life? The Pope does not exclude the eventuality that this «centering» our existence in Christ remains subjected to the temptation of thinking of ourselves being at the center. «And in this case the Jesuit is wrong» Francis clearly says. 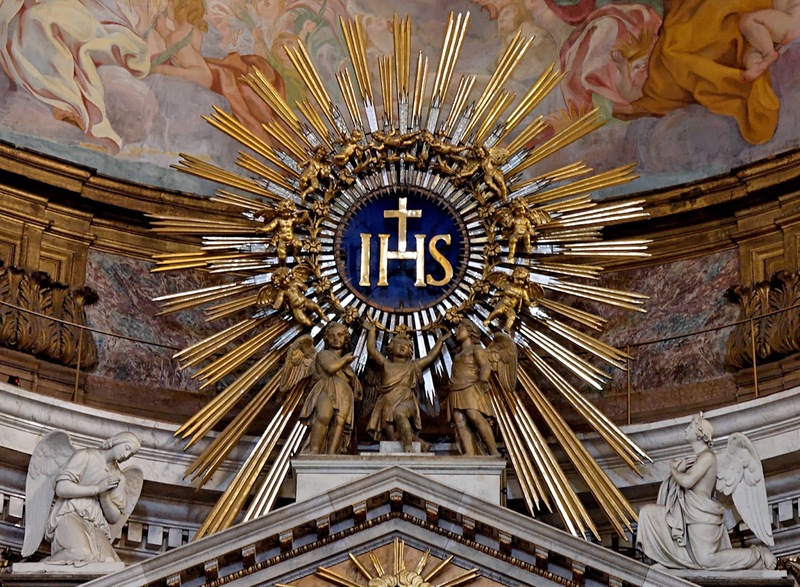 The same idea returns, some months later, in the homily for the Feast of the Holy Name of Jesus (January 2, 2014). We Jesuits want to be distinguished with the name of Jesus, which means having the same feelings as Jesus. But the heart of Christ is the heart of a God who through love is «emptied». Each one of us must be disposed to empty himself. In this circumstance Pope Francis uses the term «emptied himself» rather than «decentered himself» with a reference to the Christological hymn of the Letter to the Philippians (Phil 2:5-11). In the interview released by Fr. Spadaro, in September of 2013, the Pope is asked how the Society can serve the Church today, with what peculiar traits, and what risks may threaten it. The answer is long and touches on diverse questions, but the first words are clear: «The Jesuit is a person who is not centered in himself. The Society itself also looks to a center outside itself; its center is Christ and his Church. […] If it looks too much in upon itself, it puts itself at the center as a very sold, very well “armed” structure, but then it runs the risk of feeling safe and self-sufficient». 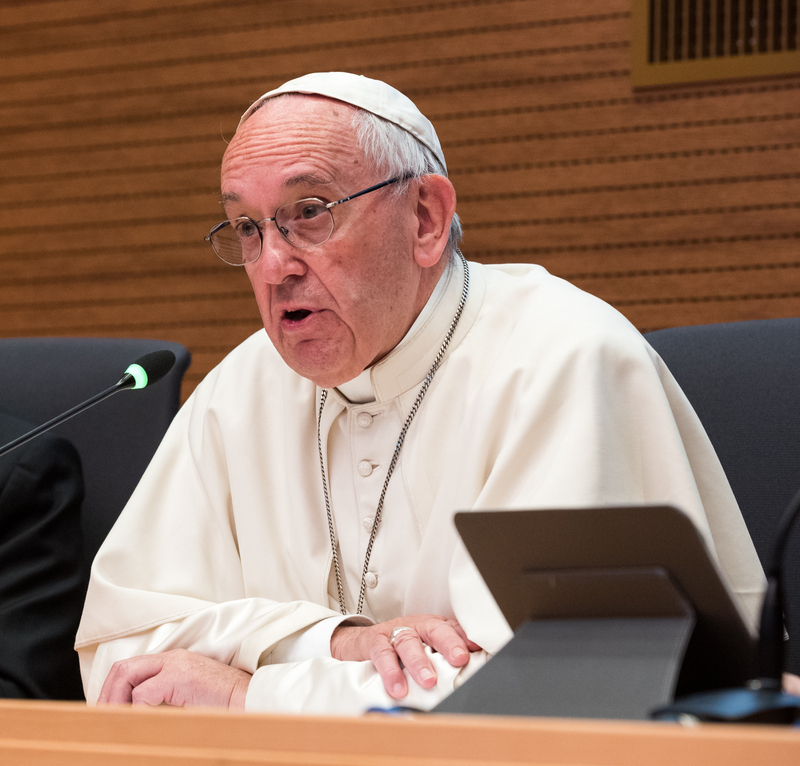 Feeling ourselves «safe and sufficient» is the danger that threatens the Society and is in contrast, according to the Pope, to the «being» of the Jesuit. Francis speaks of the Jesuit and all the Society; «being decentered» is the attitude precisely not only of every Jesuit, but of the entire body of the Society. A security and institutional sufficiency, that have often threatened the history of the Society, contradict its most original roots and most glorious moments in how it is marked by martyrdom. Francis leads us to our strongest identifying roots: the Spiritual Exercises. In them we are taught to ask of the Lord «to love him and follow him more» as a prayerful expression of our desire to identify ourselves with the poor and humble Christ that is formulated in the «meditation on the two standards», of our desire «to be received under his standard» (ES 147). The Spirit leads us to that «third degree of humility», the synthesis of Ignatian mysticism in identification with Christ: «imitate and be in reality more like Christ our Lord, I desire and choose poverty with Christ poor, rather than riches; insults with Christ loaded with them, rather than honors; I desire to be accounted as worthless and a fool for Christ, rather than to be esteemed as wise and prudent in this world» (ES 167). The Exercises are a personal experience that «conform» the Jesuit to Him who called him to this vocation, but their dynamic of imitation and of following Christ «forms» the entire body of the Society in the Constitutions (Cost.) as the «way» to realize the Ignatian charism in the Church. Ignatius had the audacity to present, to those who wanted to enter into the Society, the prospect that they must « they desire to suffer injuries, false accusations, and affronts, and to be held and esteemed as fools (but without their giving any occasion for this), 5because of their desire to resemble and imitate in some manner our Creator and Lord Jesus Christ» (Cost. 101). This «conformation» of the Society to Christ is revealed in the experience at La Storta, interpreted from the first moment as an «institutional grace» and not simply as a personal grace of Ignatius. The elements of the vision are based on the choice of Ignatius and of his companions, the Society, on the part of the Father, to be placed with the Son who takes the cross upon himself. Thus are we granted the grace to be received under the standard of Christ in poverty and humility. The 35th General Congregation comments regarding this: « We Jesuits, then, find our identity not alone but in companionship: in companionship with the Lord, who calls, and in companionship with others who share this call. Its root is to be found in Saint Ignatius’s experience at La Storta» (D II, 3). The Society will be «safe» and it will feel «sufficient» not when it will look to itself, but will know to live with the desire to conform itself to the poor and humble Christ of the Exercises, to the God incarnated in Jesus of Nazareth, the ultimate model of «decentralization» in history. This is the identity that the Pope recalls to us with so much clarity and insistence. And when Ignatius and his companions wanted to present to the Church, with the approval of the Society, a synthesis of its identity in the Formula dell’Istituto, they did not hesitate to place God at the center: the first concern of the Jesuit must be that of «having in front of his eyes, always, before any other thing, God» (curet primo Deum). Pope Francis leads us here with almost the same words. At the same time, to define the identity of the Society, in the Formula a strong accent is place on the cross: «Anyone who wants to soldier for God under the banner of the cross in our Society and to serve only the Lord and the Roman Pontiff, his vicar on earth…». The Formula then warns us about the need to examine ourselves to unmask deceptions: «ponder long and seriously, as the Lord has counseled, whether they possess among their resources enough spiritual capital to complete this tower» (n. 4). Only thus will personal and apostolic discernment, the discrete caritas, availability, the strength of the magis for a bigger and better missionary service, the experience of friendship among «companions of Jesus» be possible: well-known, these, both identify us and ensure «the preservation and growth of this whole body» (Cost. 814). Pope Francis reminded the Society of one of the more meaningful moments of its humiliation and identification with Christ. In the Solemn Vespers of September 27, 2014, on the anniversary of the bicentennial of the restoration of the Society, he said: «The Society – and this is beautiful – lived the conflict to the end, without minimizing it. It lived humiliation along with the humiliated Christ; it obeyed. […] Let us remember our history: “the Society was given the grace not only to believe in the Lord, but also to suffer for His sake” (Philippians 1:29). We do well to remember this». To this centrality of Crist is united the centrality of the Church, and Francis expresses this idea with a metaphor: «They are two fires that cannot be separated». 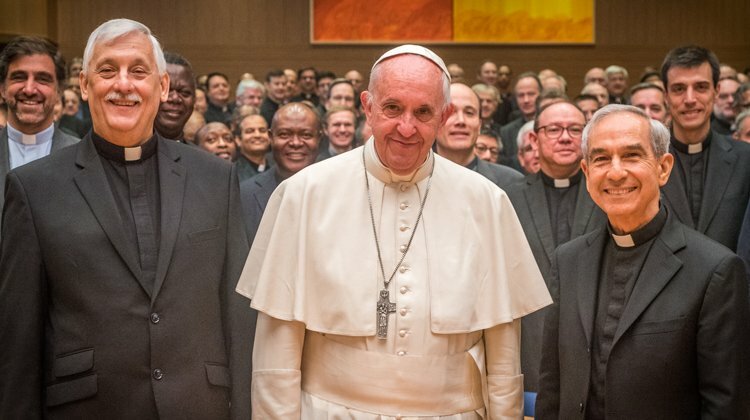 The Pope starts from an affirmation valid for every Christian: «You cannot follow Christ if not in the Church and with the Church» and he applies it specifically to the Jesuits: «And in this case too we Jesuits — and the entire Society — are not at the center, we are, so to speak, a corollary, we are at the service of Christ and of the Church, the Bride of Christ Our Lord, who is our holy Mother the hierarchical Church (cf. EE, 353)». To this concept so Ignatian, Pope Francis also made a reference in the letter that on March 16, 2013, three days after his election, he wrote to the Father General. 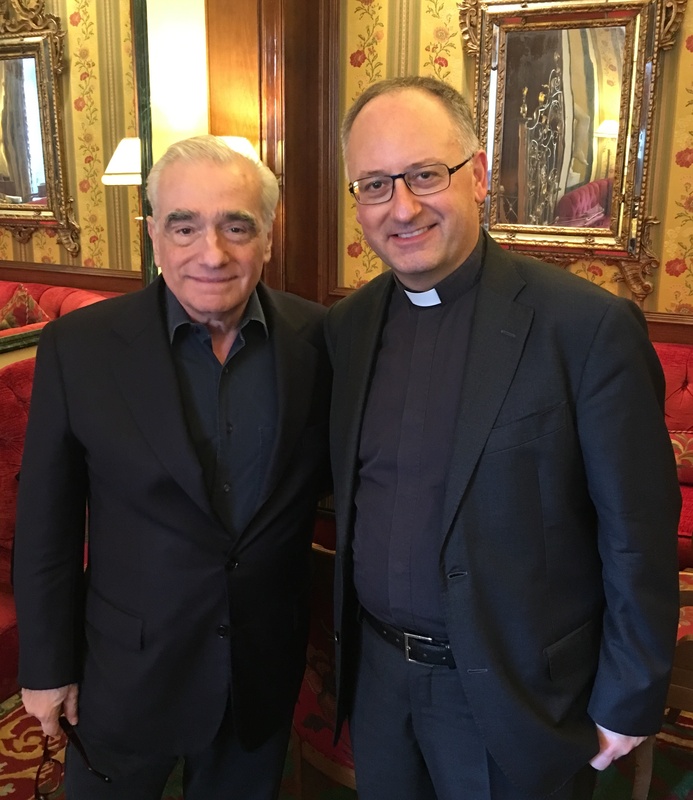 In it, he thanked him for the full availability to «to continue serving the Church and the Vicar of Christ unconditionally, in accordance with the precept of St Ignatius of Loyola». And then he offers his prayers for all the Jesuits, «so that — faithful to the charism they have received and in the footsteps of the saints of our beloved Order — with their pastoral action, and above all with the witness of a life dedicated without reserve to serving the Church, Bride of Christ — they may be a Gospel leaven in the world, tirelessly seeking the glory of God and the good of souls». This first message of a Jesuit Pope to the Society cannot pass unnoticed. It is not just simple, formal expressions, nor is it only a courtesy letter: in it is expressed the core that most identifies our vocation. 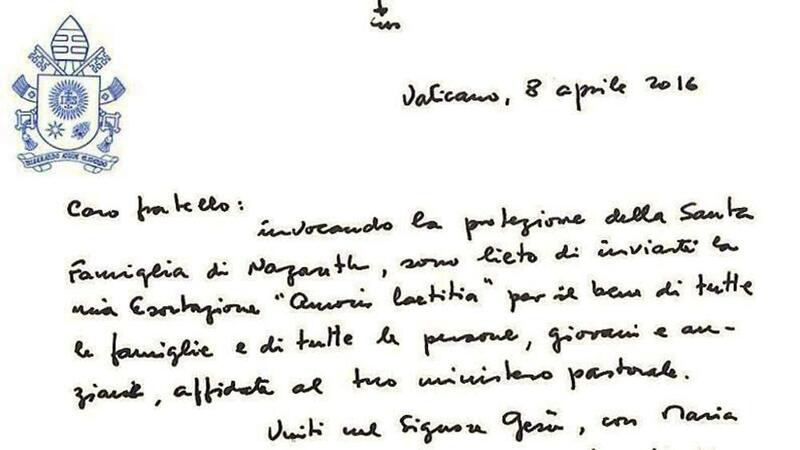 The letter is short, and almost all addressed to recalling our special relations with the Church and the Roman Pontiff. In it there is no explicit reference to the fourth vow, but he mentions it there: «in accordance with the precept of St Ignatius of Loyola»; and he reiterates the idea of service: «to continue serving the Church and the Vicar of Christ unconditionally […], a life dedicated without reserve to serving the Church, Bride of Christ». In the homily he proclaimed for the Feast of St Ignatius in 2013, the Pope insisted on the fact that it is a unique «centrality» with two dimensions. Therefore, he can say in no uncertain terms: «Serving Christ is loving this actual Church, and serving her generously and in a spirit of obedience». The Jesuit must love and serve a concrete and historic Church. Ignatius urges us to love the Church that is a pilgrim in this world, subjected to temptation, and formed by weak men and sinners, needy of the mercy of the Father. In the interview released by Fr. Spadaro, Pope Francis presents his image of Church: «It is that of the holy, faithful people of God». 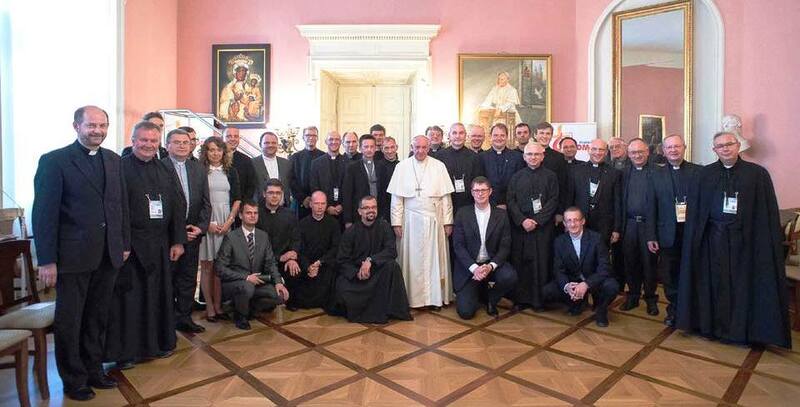 To think with the Church, for Francis, means being in the midst of this people. «It is the experience of the “holy mother hierarchical Church”, […] the Church as the people of God, pastors and people together. The Church is the totality of the people of God». The Pope emphasizes a principal of behavior of the Jesuit and of the Society in the Church: «There can be no parallel or isolated paths». Then «shortcuts» built by ourselves are of no value, where we may feel ourselves «safe» and «sufficient», nor views of the world beginning from our center. Here he presents a temptation to us, when we want to take decisions beginning from «our center», and not from the «center» of Christ and his Church. Then we lose the capacity to apostolically discern—knowing how God and the Church want to make use of the Society—and to examine ourselves and tell ourselves truly how we are, where we turn our gaze, what are our horizons. The Society will find itself in many apostolic fields, but always in the Church, «with this belonging that gives us the courage to go ahead». And the Pope makes reference to the two values of research and peripheries: «Yes, ways of research, creative ways, this is indeed important: to move out to the periphery, the many peripheries. For this reason creativity is vital, but always in community, in the Church». Pope Francis urges us to be present in two important and current missionary horizons: research and peripheries, in whatever their modality, and to develop in them great creativity, but always «in the Church», «avoiding the spiritual illness of self-referentiality». And to give strength to his affirmation regarding the Society, he adds: «When the Church becomes self-referential she too falls ill and ages». The Pope then points out another way to serve the Church: that of serving the Roman Pontiff, collaborating with his ministry. In the celebration of the bicentennial of the restoration of the Society, referring to the words of Pope Pius VII in the Bull of restoration, he asks the Jesuits to be «brave and expert rowers», and immediately after he urged them thus: «Row, be strong, even against a headwind! We row in the service of the Church. We row together!». Therefore, the Pope invites us to row with him, because «the boat of Peter can be tossed about today». The service that Francis asks of us is realized in the Church and in help to the Roman Pontiff: «to row with him». This idea is linked with what many Popes have asked of the Society, but had special importance in the discourse of the Pope Emeritus at the 35th General Congregation (2008). Pope Benedict told us that he counts on the Society, that he wants us to be loyal collaborators; and he pushed us to fulfill the important and difficult service of making ourselves «loyally take on the Church’s fundamental duty to remain faithful to her mandate and to adhere totally to the Word of God and to the Magisterium’s task of preserving the integral truth and unity of Catholic doctrine». To the question addressed to him by Fr. 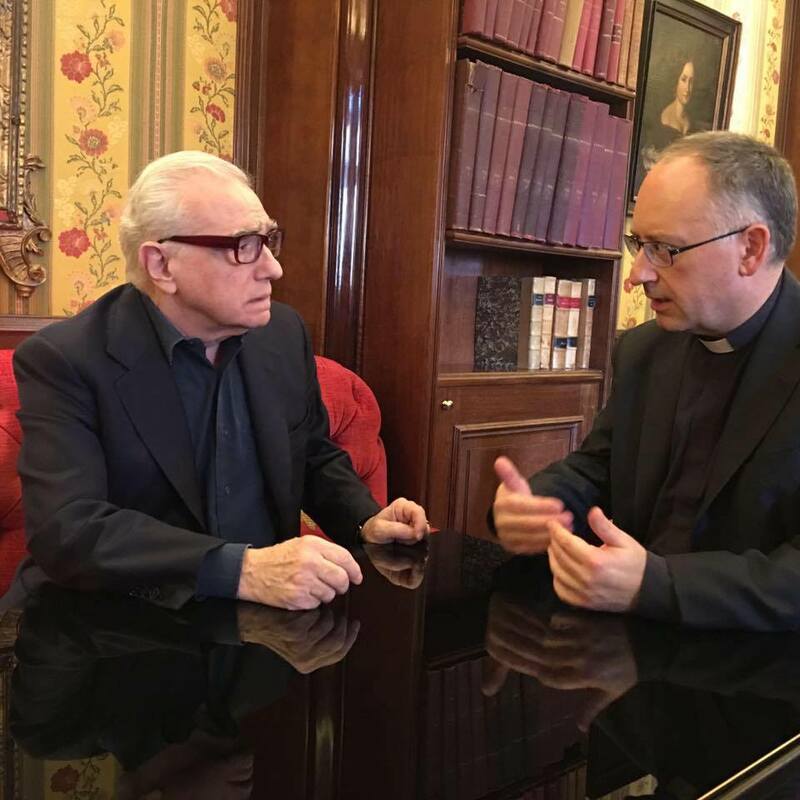 Spadaro: «Who is Jorge Mario Bergoglio?», the Pope gave a surprising answer: «I am a sinner». Then he reinforces his answer: «This is the most accurate definition. It is not a figure of speech, a literary genre. I am a sinner». And immediately after he affirms: «I am a sinner whom the Lord has looked upon». To us Jesuits the words from the 32nd GC come to mind, when there we were asked: «What is it to be a Jesuit? It is to know that one is a sinner, yet called to be a companion of Jesus» (D II, 1). Father Bergoglio had taken part at that Congregation, and definitely these words now resonate in his heart: he is defining himself as a Jesuit. In the homily for the Feast of St Ignatius of 2013, Pope Francis speaks of the «shame of the Jesuit». Contemplating the crucified Christ, in the first week of the Exercises, we are taken by the feeling, so human and so noble, that is the shame of not being good enough. «And this always brings us, as individuals and as the Society, to humility, to living this great virtue. […] Humility that spurs us to put our whole self not into serving ourselves or our own ideas, but into the service of Christ and of the Church, as clay vessels, fragile, inadequate and insufficient, yet which contain an immense treasure that we bear and communicate». The Pope does not speak of a humility that is confused or that is expressed with devout acts, but he refers to the humility that identifies us with Jesus Christ poor and humiliated, with God incarnate on the cross, both when we must confront misunderstandings and when we become objects of misunderstandings and calumnies; but this is the more fertile attitude. And the Pope cites the Chinese rites, the Malabar rites, the Reductions of Paraguay, misunderstandings and problems experienced also in recent times. This humility is throughout all of the spirituality of the Society, and finds expression in these two terms, apparently contradictory, that also complete the identity of the Society: magis and minima. These two correlative terms makes sense only when they supplement each other. The Ignatian «more» is always the desired answer–«because the more you love him and follow him»—, that pushes the Jesuit to desire poverty and humiliation more than wealth and honors, to imitate and follow Jesus Christ more. The «more» understands the «less», and is realized in «diminshing», that is the true humility. The Society is «least» in its identity, because that implies «being submissive… and serving…». Apostolic magis is then composed of inquiry, gratuity and availability, that lead us to «diminish», to not be at the center, to leave our security and «in Him alone must be placed the hope» (Cost. 812). In the interview cited, the Pope affirms that the Jesuit is a man «of incomplete thought, of open thought». And he explains the reason: «The Jesuit thinks again and again, looking to the horizon, toward which he must advance, with Christ at the center. This is his true strength». In effect his «decentralization» keeps him in search, makes him creative, generous. Pope Francis returns to this idea in the homily of the Feast of the Holy Name of Jesus, January 3, 2014. The Jesuits are men in search, because «they think always looking to the horizon which is the ever greater glory of God, who ceaselessly surprises us. And this is the restlessness of our inner abyss. This holy and beautiful restlessness!». Francis holds present that which most characterized St Ignatius and his spirituality: the search for the will of God, so meaningfully manifested in Ignatius’ Autobiography, when he defines himself as «the pilgrim». The Pope speaks of restlessness of the heart—because God is surprise—, that he asks: «What does God want of me?». Here the ultimate end of the spiritual process of the Exercises, the fruit of the long Jesuit formation to learn to seek and to find God in all things finds meaning. To find the will of God is the object of the tool so Ignatian that is discernment. Pope Francis is leading us «For where the Society’s first members have passed through» to revive the gift, in a way that, with the grace of God, we may push ourselves «or to go farther in the Lord» (Cost. 81). He is leading us to the Preface of the Constitutions, that exhort us to be guided, more than from Rules and external observance, «the interior law of charity and love which the Holy Spirit writes and imprints upon hearts» (Cost. 134). And so in order to not deceive ourselves, once again the Pope proposes to make this examination of conscience: «if our heart has preserved the restlessness of the search or if instead it has atrophied; if our heart is always in tension: a heart that does not rest, that does not close in on itself but beats to the rhythm of a journey undertaken together with all the people faithful to God». It is not only a spiritual restlessness, but «a restlessness that is also apostolic […]. It is the restlessness that prepares us to receive the gift of apostolic fruitfulness. Without restlessness we are sterile». And again he warns us: «May our gaze, firmly fixed on Christ, be prophetic and dynamic in looking to the future. Thus you will remain ever young and bold in interpreting events!». In addition, the Pope present Faber with this characteristic trait: a restless spirit, indecisive, never satisfied, who learns, under the guidance of Ignatius, to unite his restless, but sweet, sensibility with the capacity to take decisions. A man of great desires, of great aspirations. In his desires, Faber was able discern the voice of God. And the Pontiff added the apostolic aspect of such desires: «An authentic faith always involves a profound desire to change the world». Francis recalls the Constitutions: «we help our neighbor by the desires we present to the Lord our God» (Const. 638). In effect, in the Spiritual Exercises, in the letters and in the Constitutions Ignatius urges us very often to nourish «the good and great desires» and to concentrate them in Jesus Christ. He made it a personal experience in his spiritual process, as referred to in the Diary and in the Autobiography. In the audience with La Civiltà Cattolica, Francis defines us as men of the frontier: «Your proper place is at the frontier. This is the place of Jesuits. […] Please, be men of the frontier, with that capacity that comes from God”. There is never a lack to that allusion of the center of the identity of the Jesuit, the place from which these notes of his «profile» can flow, in the Pope. 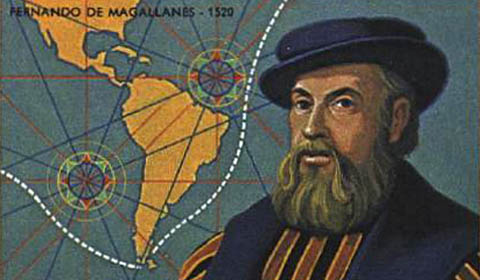 And he specifies also how he needs to go towards the frontier: «do not give in to the temptation of domesticating these frontiers: it is essential to go out to the frontiers but not to bring frontiers home to touch them up with a little varnish and tame them». And he again defines the Jesuit’s mission as service for the Church: «It is a question of supporting the Church’s action in all the fields of her mission». The faith is always an inculturated faith, a faith that is way, a faith that is history: God is made flesh revealing himself in a concrete history. Here the reference is Father Arrupe and his letter to the CIAS (Centros de Investigación y Acción Social), that the Pope defined as «genial»; in it is clearly said that you cannot speak of poverty if you do not experience it. In the celebration of the bicentennial of the restoration of the Society, Pope Francis summarized the work of the Society at the frontier of our time: refugees and displaced persons, integration of service with faith and the promotion of justice, and he recalled, making it his own, the words of Paul VI at the 32nd GC, that he himself heard with his own ears: «Wherever in the Church, even in the most difficult and extreme situations, in the crossroads of ideologies, in the social trenches, where there has been and there is confrontation between the deepest desires of man and the perennial message of the Gospel, Jesuits have been present and are present». Francis added: «These are prophetic words of the future Blessed Paul VI». Even Pope Benedict, in his song, took these demanding and encouraging words of Pope Montini. Three Popes, therefore, have sent the Society the same message. Words of trust and esteem, but also very demanding, because they recall the ecclesial meaning of our vocation. In the audience granted to La Civiltà Cattolica, Pope Francis retraces its defensive history and fidelity to the Church and reminds the writers that their «duty is not to build walls but bridges; it is to establish a dialogue with all people, even those who do not share the Christian faith […] and even, “those who oppose the Church and persecute her in various ways” (Gaudium et Spes, n. 92)». And to dialogue, one needs to lower one’s guard and to open doors. The Pope encourages the writer to continue the dialogue with cultural, social, political institutions, to offer a contribution for the common good. In the Pope’s words the figure of his model of the Jesuit returns to make itself present. We may wonder at the fact that when the Pope reads these words of Faber: «Whoever wants to draw close to the heretics of this age must have a lot of love with them and love them in veritate» communicating «familiarity with them», he is left struck by them and comments: «His dialogue with all, even the most remote and even with his opponents…». What we have reported up to her recalls that the Jesuit is a man who has the gift of discernment «who seeks to recognize in the human and cultural situation the presence of God’s Spirit, the seed of his presence already sown in events, in sensibilities, in desires and in the heart’s profound aspirations and in social, cultural and spiritual contexts». 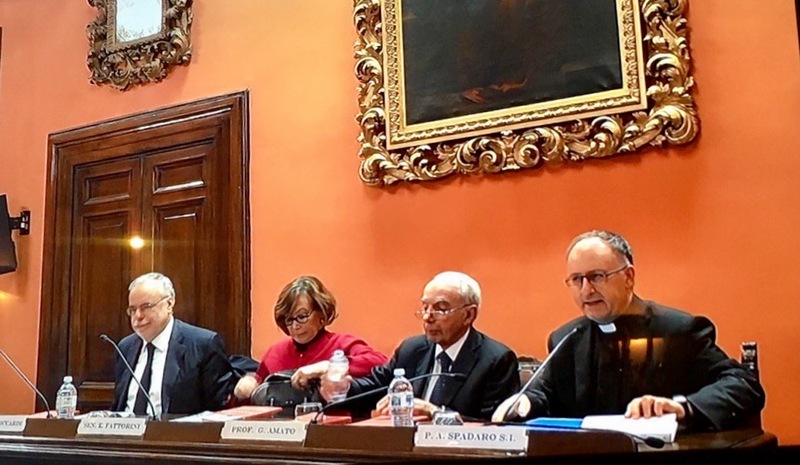 Pope Francis defines spiritual discernment «a treasure of the Jesuits». 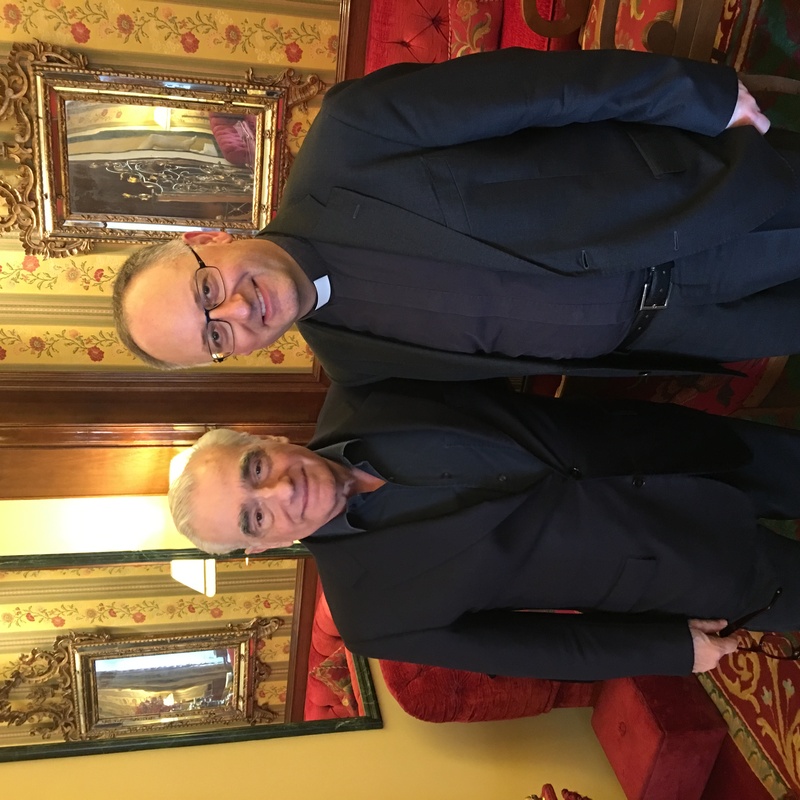 And he states he was left struck by the observation of Hugo Rahner, for whom the Jesuit «is a specialist in discernment in the field of God and also in that of the Devil». We don’t need to be afraid to continue in discernment to find the truth. When Fr. 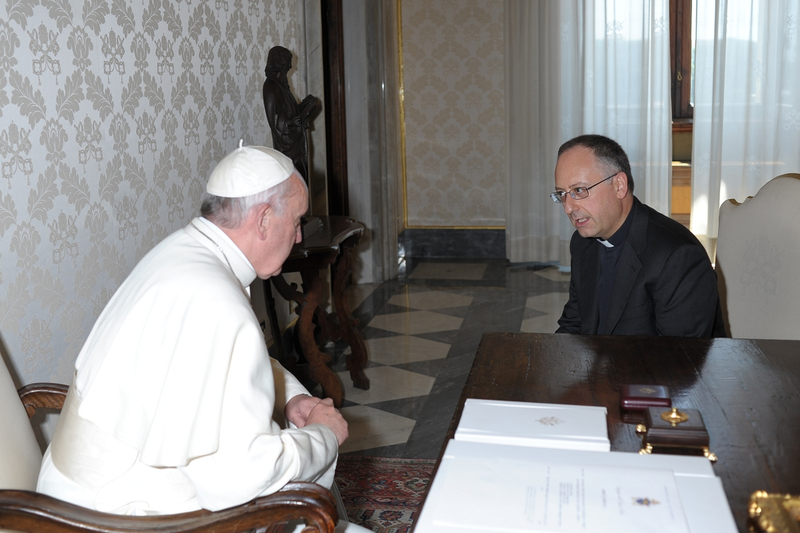 Spadaro asks him what aspect of Ignatian spirituality helps him the most to live his ministry, Francis answered: «Discernment. Discernment is one of the things that worked inside of St Ignatius. For him it is an instrument of struggle in order to know the Lord and follow him more closely». And he added: «This discernment takes time. […] I believe that we always need time to lay the foundations for real, effective change. And this is the time of discernment. Sometimes discernment instead urges us to do precisely what you had at first thought to do later. […] The wisdom of discernment redeems the necessary ambiguity of life and helps us find the most appropriate means, which do not always coincide with what looks great and strong». In the celebration of the bicentennial of the restoration, Pope Francis made very precise observations on discernment: «in a time of confusion and turmoil […], in the confusion and humiliation, the Society preferred to live the discernment of God’s will, without seeking a way out of the conflict in a seemingly quiet manner. Or at least in an elegant way: this they did not do». In other discourses, the Pope expounds on, almost incidentally, the conditions in order that a true spiritual discernment is given. For example, he refers to right intention, a simple gaze, to the fact that «discernment is always done in the presence of the Lord, looking at the signs, listening to the things that happen, the felling of the people, especially the poor». Regarding the suppression of the Society, Pope Francis refers to what Fr. Lorenzo Ricci said about the sins of the Jesuits. In fact, discernment does not seek the easy «compromise», it saves us from real uprooting, from the real “suppression” of the heart, which is selfishness, worldliness, the loss of our horizon, of our hope, which is only Jesus, when we seek what God asks. 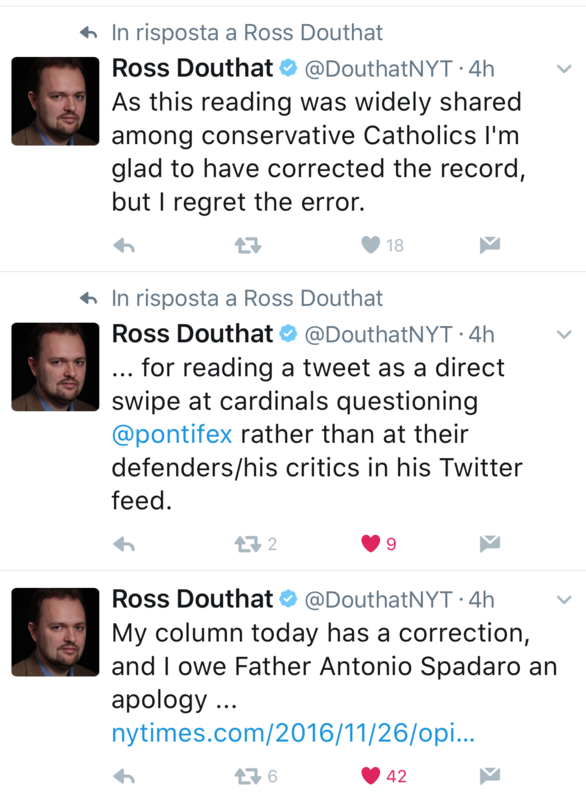 We can in conclusion, add a note on «how» the Pope addressed the Jesuits in the «previous discourse». In the interview released by Fr. 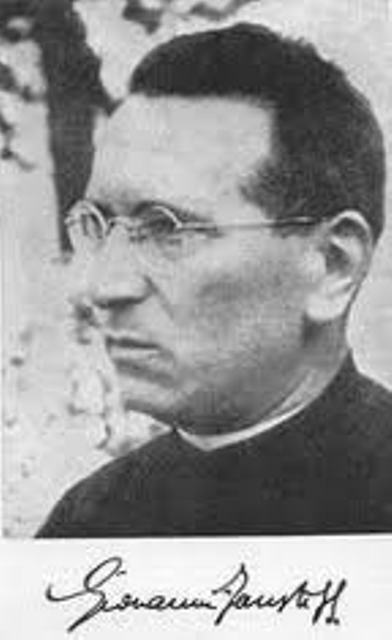 Spadaro, he states that “the Society can only be described in narrative form. Only in the narrative from do you discern». In effect the Pope has «narrated» us, with clarity and insistence, the Society’s identity, centered on Christ and on the Church: «To serve as a soldier of God beneath the banner of the Cross and to serve the Lord alone and the Church his spouse, under the Roman Pontiff». The Pope has «narrated» us, so that we, making «memory», place ourselves in an attitude of discernment and, grateful for so much good received, examine if we are in that «center» and, once «decentered» from ourselves, desire to live under the banner of Jesus: only thus will we be able to know how and in what the Lord and his Church want to be served by this «least» Society. The Pope’s narrative language does not lead him to get lost in secondary questions. He brings us back, as in a serene conversation with his brother Jesuits, to the origins, where «the first ones came», to where, through them, the gift of the Spirit overflows to the Church; and in a very Ignatian way questions himself, he a Jesuit, and questions us Jesuits, on our life and on our mission in reference to that core identity. 35th General Congregation of the Society of Jesus, Decree 1. P. Fabro, Spiritual memories, Rome – Milan, Civiltà Cattolica – Corriere della Sera, 2014, 18; Monumenta Historica Societatis Iesu (MHSI), 63, 162. 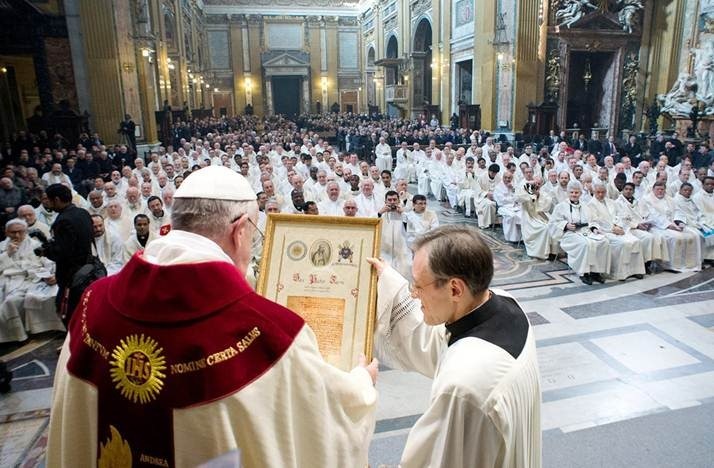 Pope Francis, Vespers and «Te Deum» on the bicentenary of the restoration of the Society, September 27, 2014. Cfr Id., Homily on the feast of St Ignatius, July 31, 2013. «Formule dell’Istituto 1539, 1540, 1550», in Ignatian Sources, MCo I, 373- 383. Pope Francis, Vespers and «Te Deum» on the bicentennial of the restoration of the Society, cit. Pope Francis, Homily on the feast of St Ignatius, July 31, 2013. 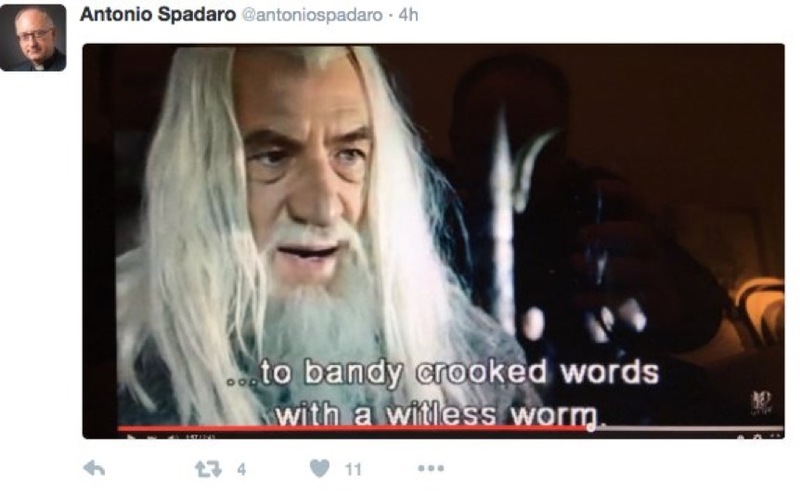 A. Spadaro, «Interview with Pope Francis», cit. 459. «Audience of Pope Francis to “La Civiltà Cattolica”», June 14, 2013, in Civ. Catt. 2013 III5. Pius VII, Sollicitudo ommium ecclesiarum. Pope Francis, Homily on the feast of St Ignatius, cit. 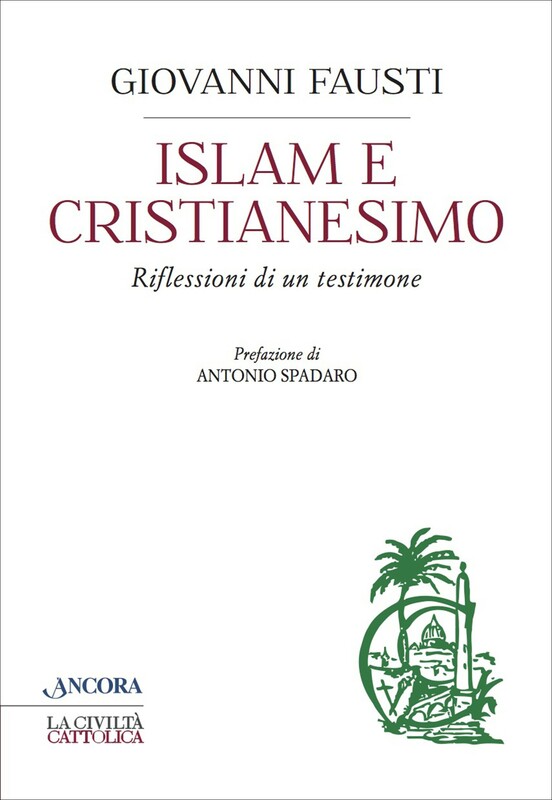 A. Spadaro, «Interview with Pope Francis», cit.,456. 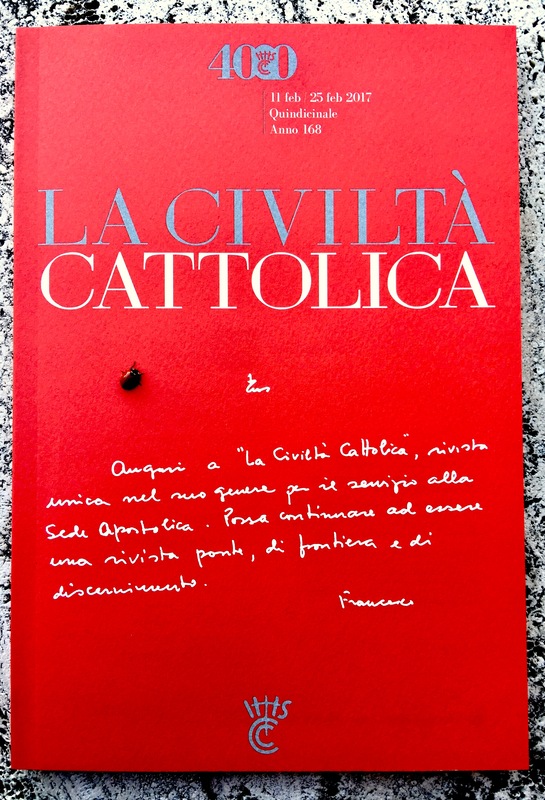 «Audience of Pope Francis to “La Civiltà Cattolica”»,cit., 5. Pope Francis, Homiliy in the Mass for the Feast of the Holy Name of Jesus, January 3, 2014. We find a very meaningful example in Const. 101 (Examen). Pope Francis, Homily in the Mass for the Feast of the Holy Name of Jesus, cit. A. Spadaro, «Interview with Pope Francis», cit.,474. Besides the discourse cited in the text, Pope Francis has proclaimed discourses for groups of Jesuits and laity who work in various apostolic fields: the Latin American Congress of former students (November 2015); Former students from Uruguay (October 2013); Gregorian University (April 2014); Vatican Observatory (June 2014, September 2015); Astalli Center (September 2013); Jesuit Refugee Service (November 2015); Youth Eucharistic Movement (August 2015). Paul VI, Discourse to the 32nd General Congregation of the Society of Jesus, n. 2. A. Spadaro, «Interview with Pope Francis», cit.,457. «Audience of Pope Francis to “La Civiltà Cattolica”»,cit., 4 s.
 A. Spadaro, «Interview with Pope Francis», cit.,453. P. Faber, Memorie spirituali, n. 68.